Being one of the newest major cities in the World, Dubai’s population has grown seven times faster than New York. Once a tiny fishing village harvesting pearls from the sea, it is now the most sophisticated city on the Persian Gulf. 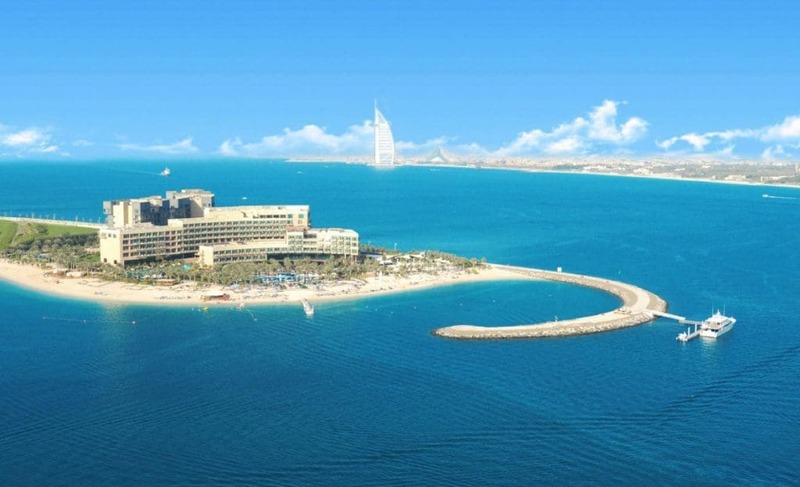 It has something for everyone and we can help you find your perfect all inclusive holiday in Dubai. With its unprecedented luxury, combination of old and new, and it’s soaring skyscrapers, Dubai is constantly rising – literally. It’s home to the world’s tallest building, the 830-metre high Burj Khalifa, along with the (self-rated) 7-star Burj Al Arab. But what makes Dubai such a fantastic destination is that it also offers a host of modern (even futuristic) attractions. From skiing in an outdoor ski slope at the Mall of the Emirates, enjoying Arabian Nights souks to a new development coming soon that’s a $3 billion theme park called Dubailand. Another reason why we love Dubai is the weather. The sun blazes down all year round with temperatures ranging from a comfortable 20 Celsius in January to a sweltering 40+ Celsius in August. With only 28 days of rain a year, if you are looking to get away from the indecisive UK weather, Dubai is definitely the place to be! The Movenpick Hotel Jumeirah Beach is situated amidst the buzz of the prestigious Jumeirah Walk. You will be surrounded by sophistication, with world-class shops and pavement cafes just a short walk away. The hotel is located directly at the sandy beach, perfect for a spot of sunbathing in the Arabian heat. The all inclusive meal package is served at the Movenpick’s The Talk restaurant, where you can grab a bite to eat from the buffet or enjoy a meal from the A la carte menu. 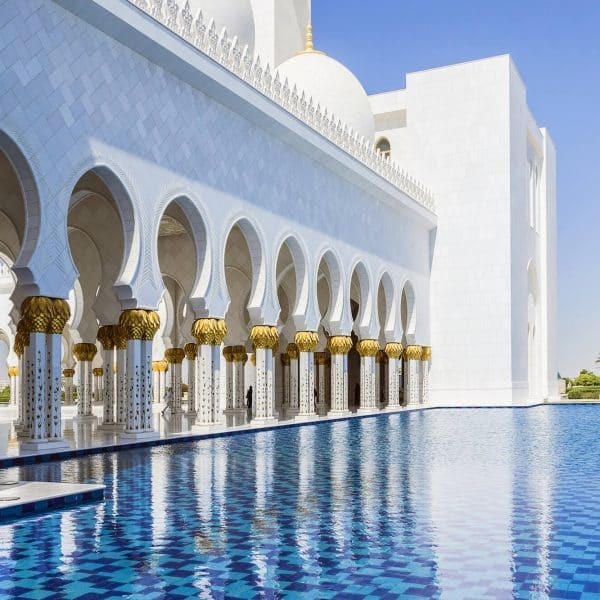 After you’ve refuelled, head to the poolside to relax in the private cabanas or by the pool lounge which features shisha and a chic oriental mood. Rixos The Palm is a luxurious, five-star, beachfront hotel set on Dubai’s iconic Palm Jumeirah. 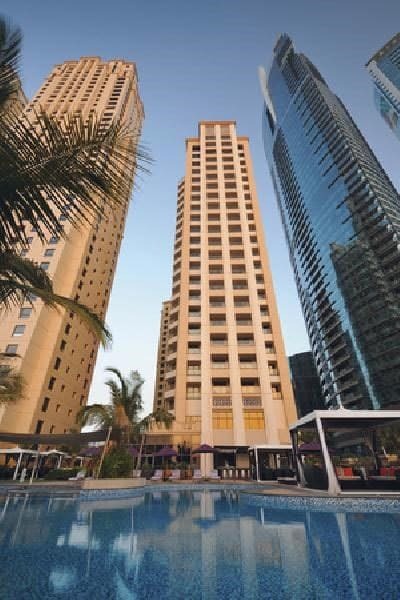 You’ll enjoy panoramic views of the Arabian Gulf Coast and the sparkling Dubai Marina skyline. 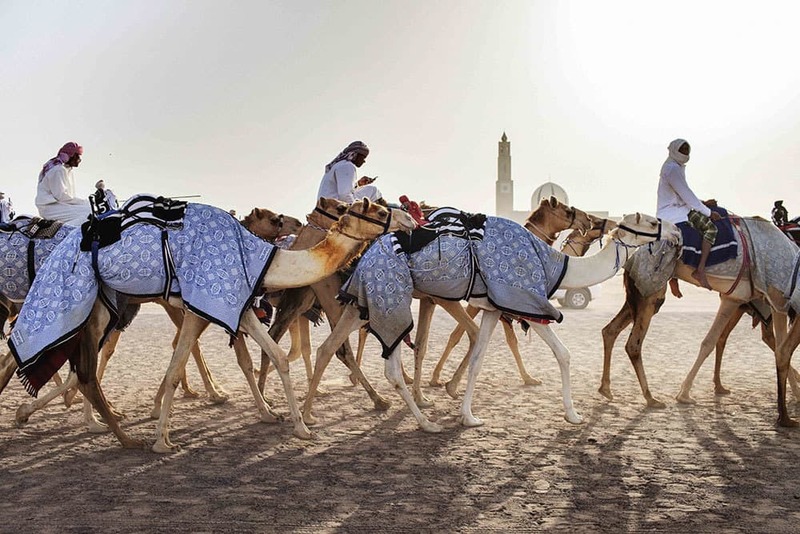 It is the first of its kind in Dubai to offer an ultra-all-inclusive package. 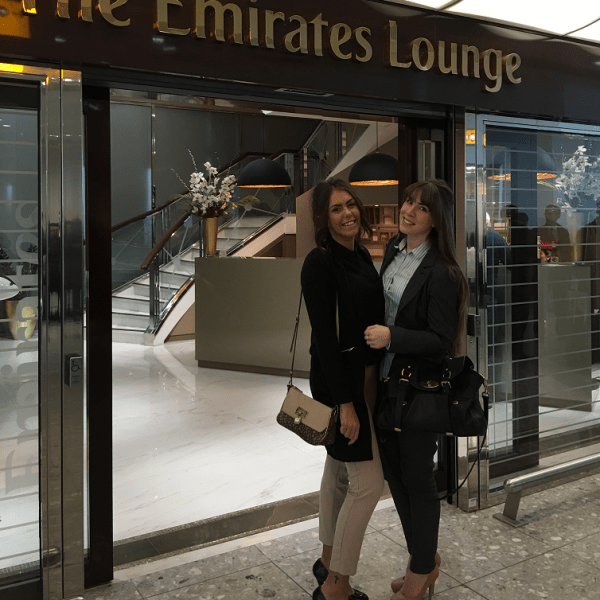 The package includes a limitless selection of international branded beverages, dining in all 9 of the restaurants and bars and free use of the mini-bar. You can also take advantage of the shuttle bus to Dubai Marina Mall and the daily shuttle bus to the Mall of the Emirates. A great choice for your all inclusive holiday in Dubai. 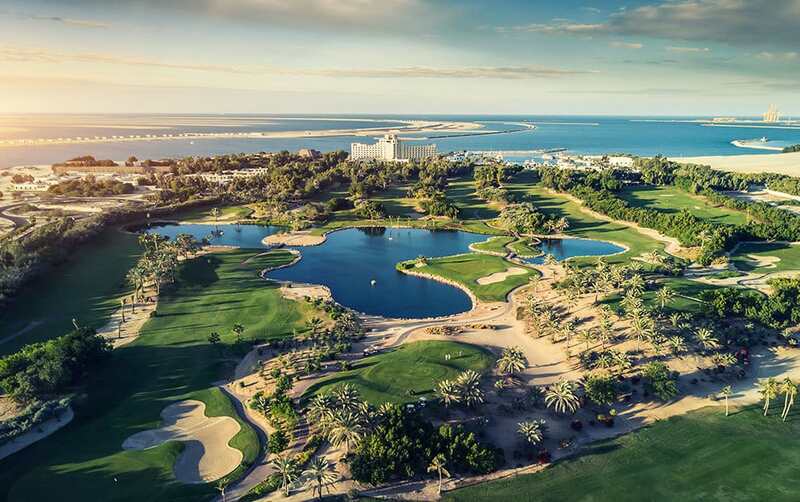 Located on the outskirts of Dubai on the private beachfront of the Jebel Ali Golf Resort, the Palm Tree Court & Spa is a luxurious family resort. This all suite resort is perfect if you are travelling as a family, the spacious suites sleep up to 2 adults and 2 children, or 3 adults. The all inclusive package at the JA Palm Tree Court offers all meals in both restaurants on site, all beverages including international branded drinks, non-motorised water sports, camel rides, access to the ‘CoolZone’ Kids Club, complimentary access to Wibit Water Park as well as a full dine-around at 16 resort restaurants across the JA Golf Resort. 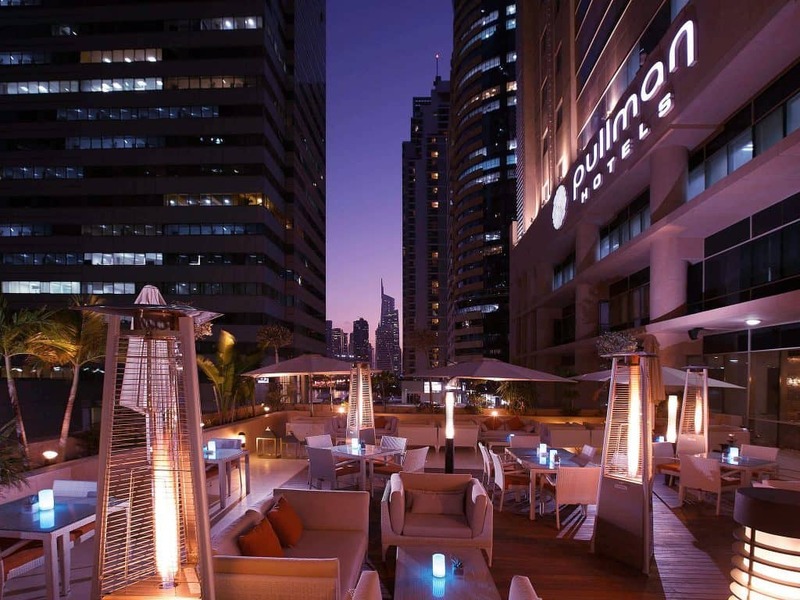 Pullman Dubai Jumeirah Lakes Towers is a modern five-star hotel in Dubai City. It is in the perfect location for business and leisure travellers. The hotel is within easy reach of the subway, bus stops, train station and taxi stands, perfect for those business meetings or venturing out to see the sights. The all inclusive board basis allows you to dine in all of the restaurants and bars, enjoying the house beverages. 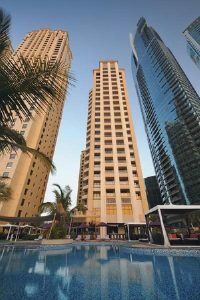 The Pullman JLT also has a fitness centre, spa and a stunning roof top pool to cool off after a long day of sight-seeing. The Hilton Ras Al Khaimah is our little wild card in this blog post, it’s not actually in Dubai, it’s 50 minutes north. It is nestled in a spectacular private bay at the northern tip of the Arabian Peninsula. 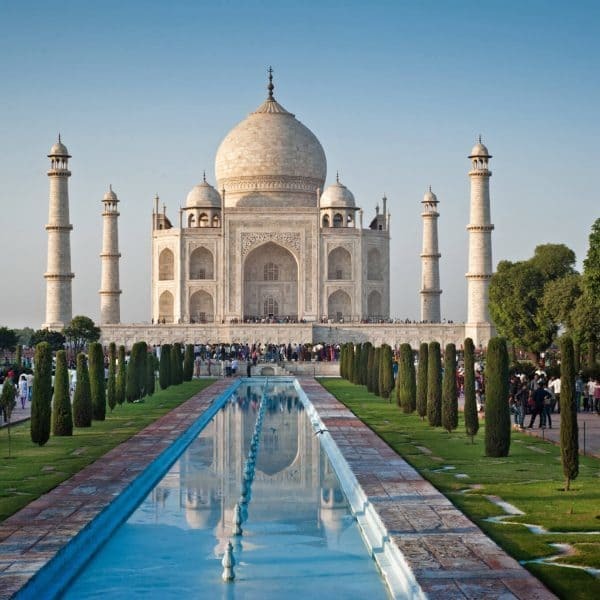 It overlooks the shimmering Arabian Sea and blends in harmoniously with the surrounding natural beauty. If you are looking for a relaxing, peaceful getaway with guaranteed sunshine, then this is the place to be. The Hilton Ras Al Khaimah comes with not one but six swimming pools and an all-day kids club. 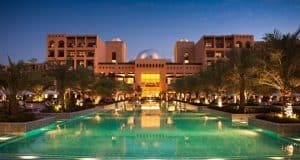 The all inclusive package includes all meals at the Maarid restaurant and set menus in Piaceri da Gustare, Passage to Asia and Al Bahar, as well as all house drinks. Give us a call today to book your luxury, all inclusive holiday in Dubai!